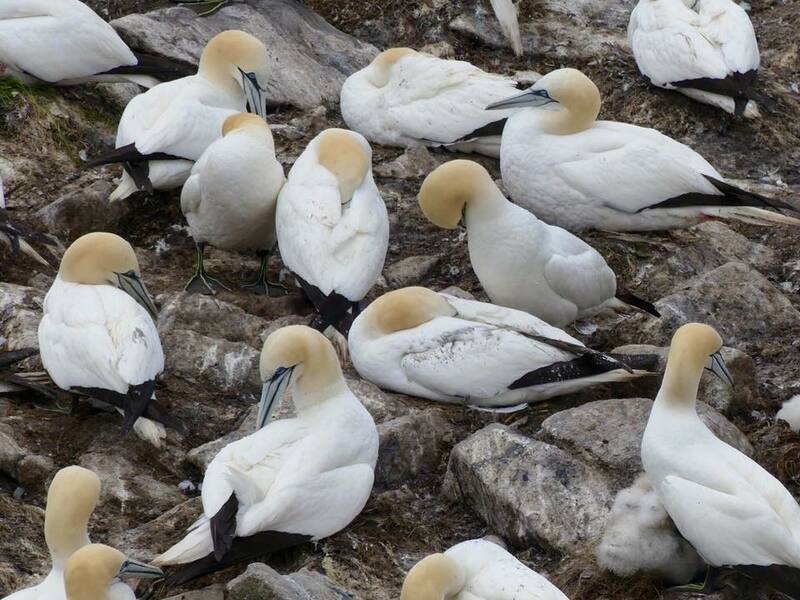 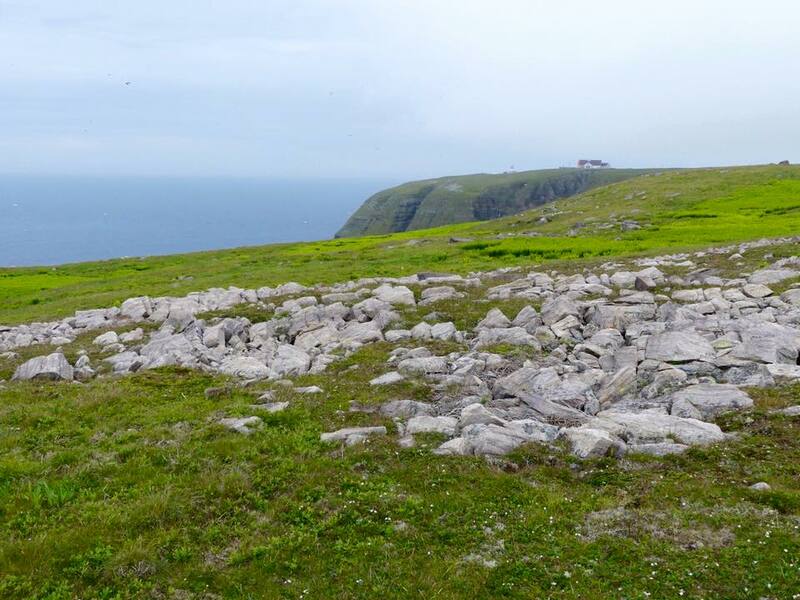 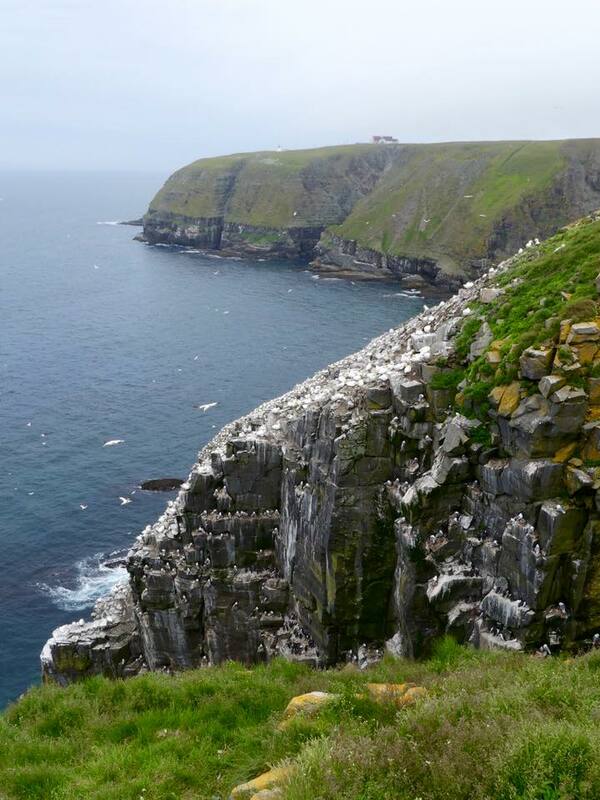 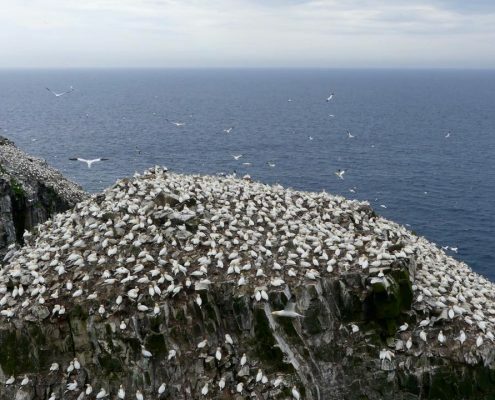 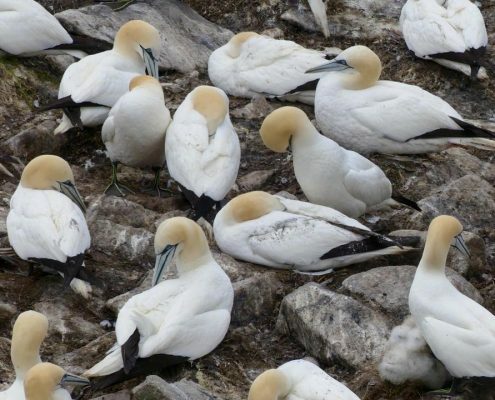 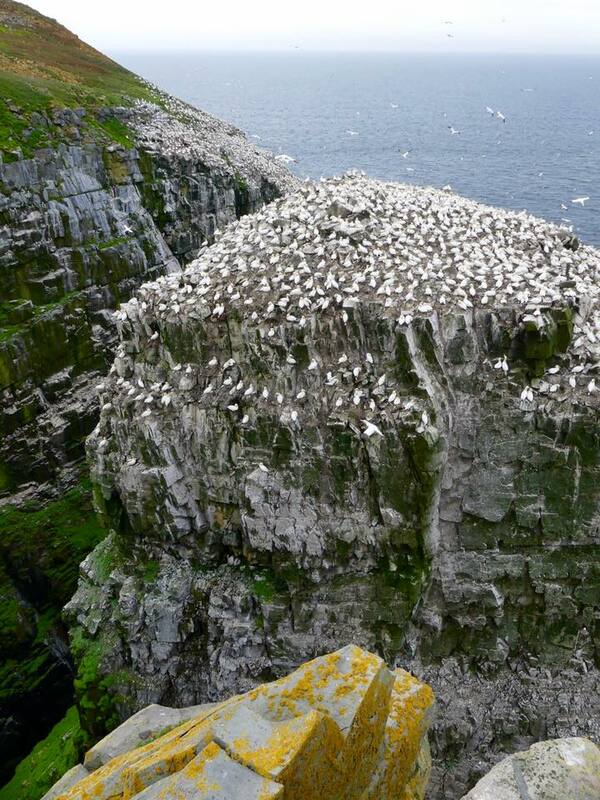 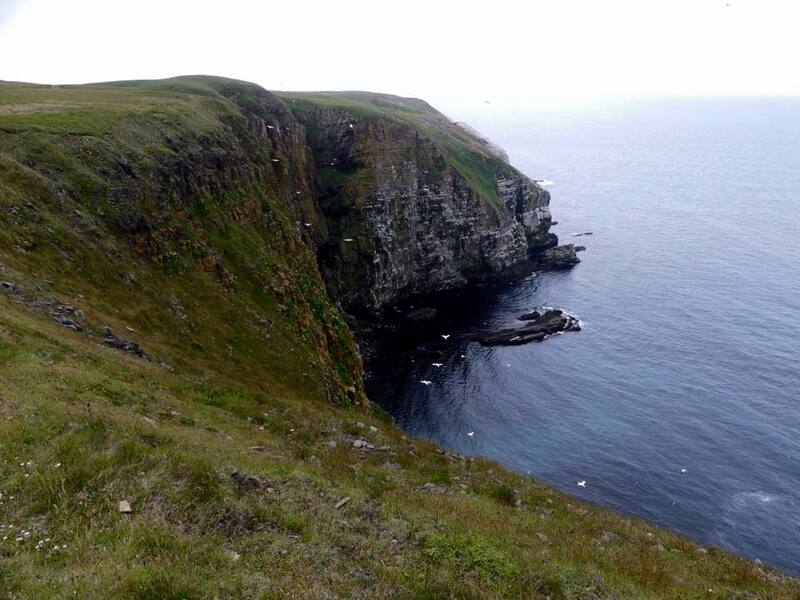 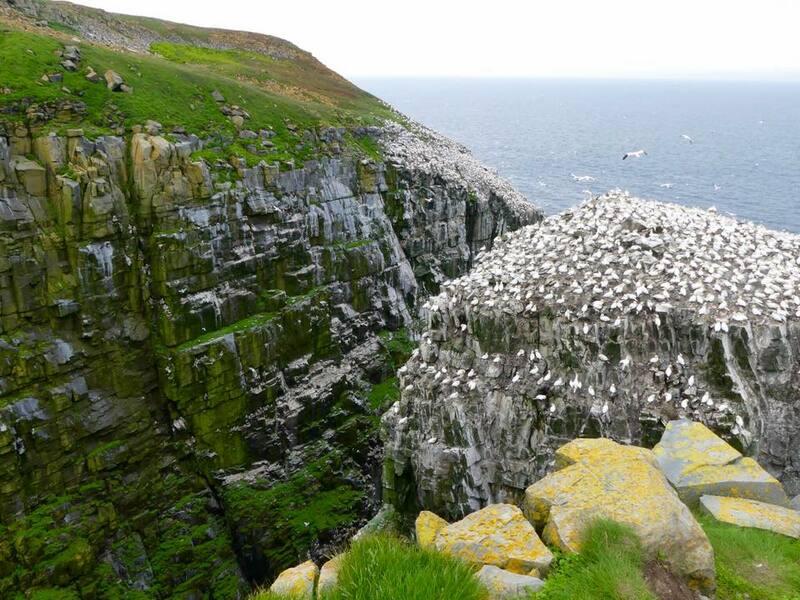 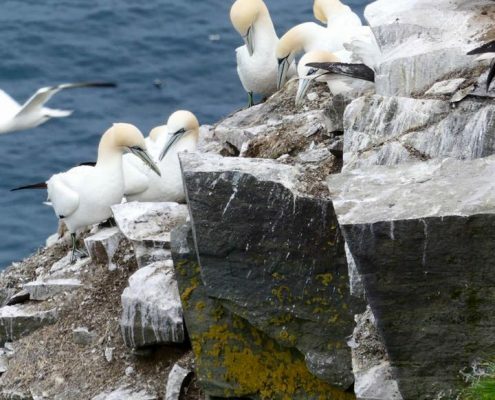 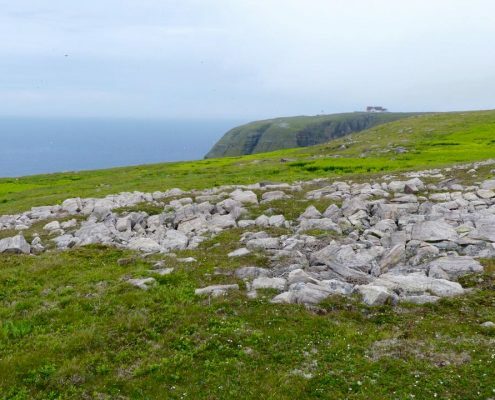 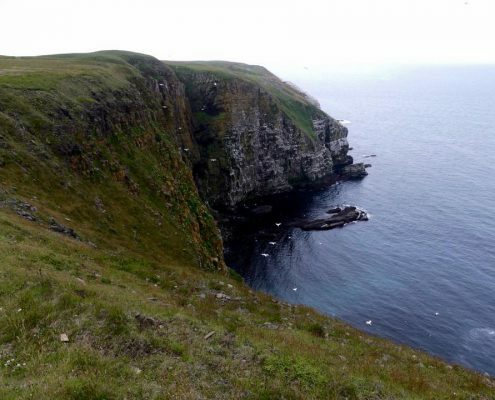 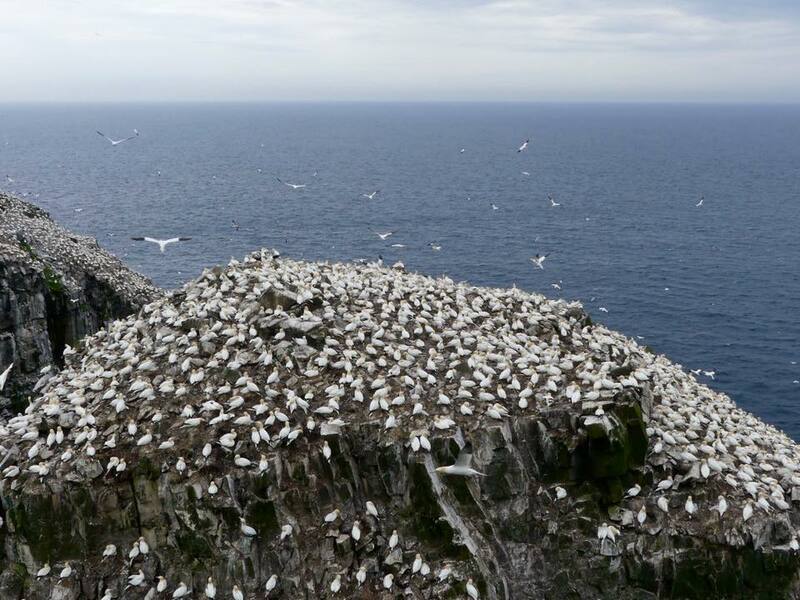 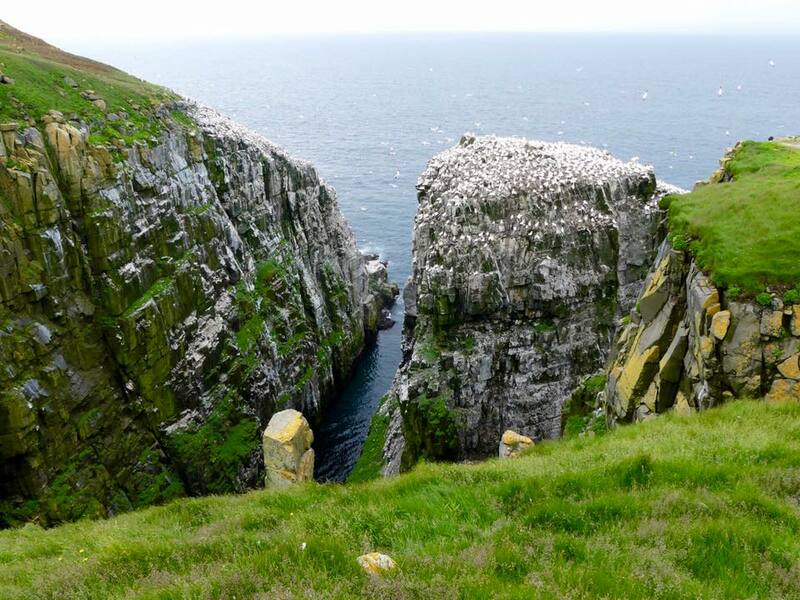 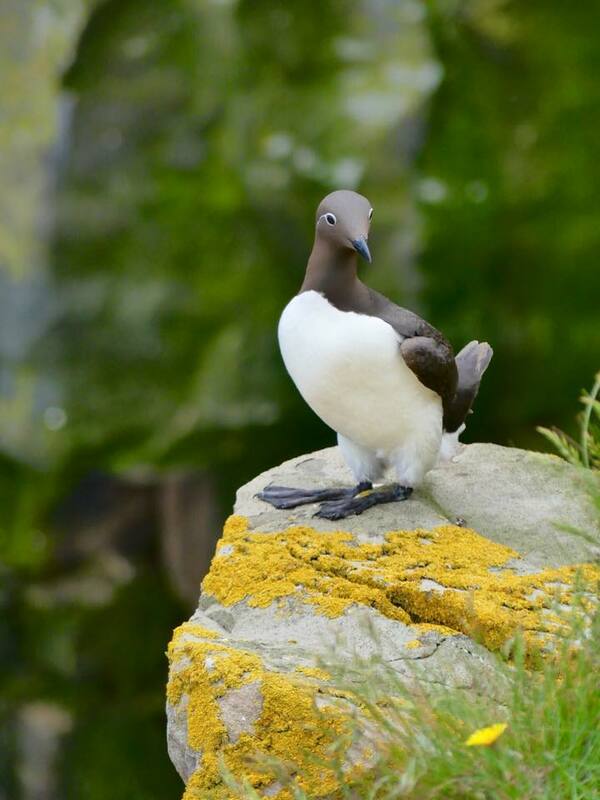 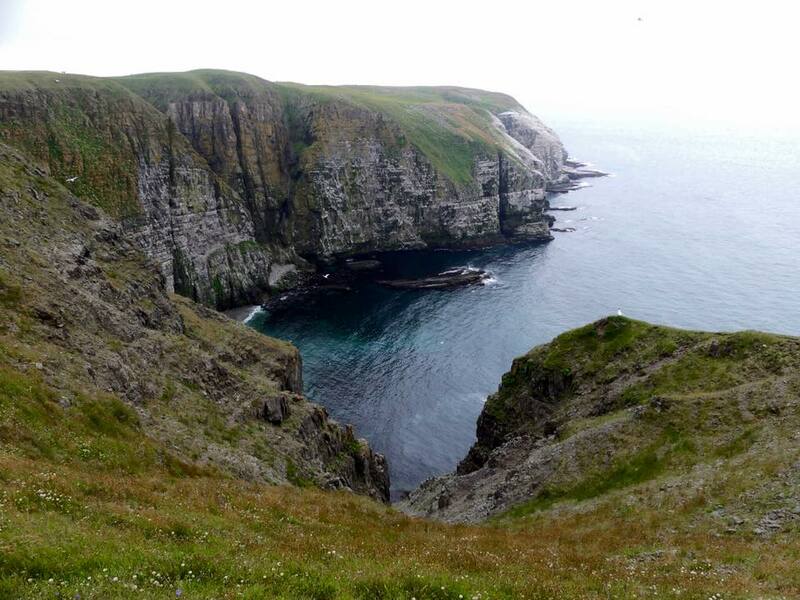 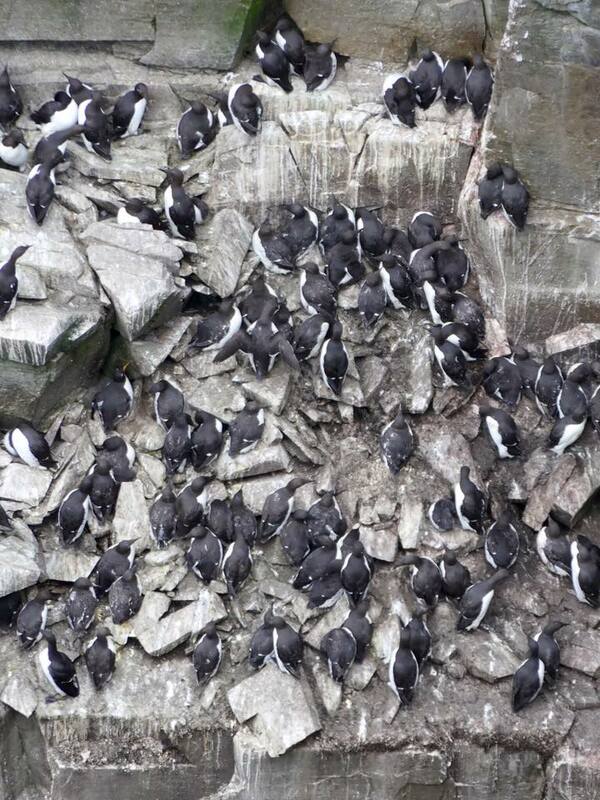 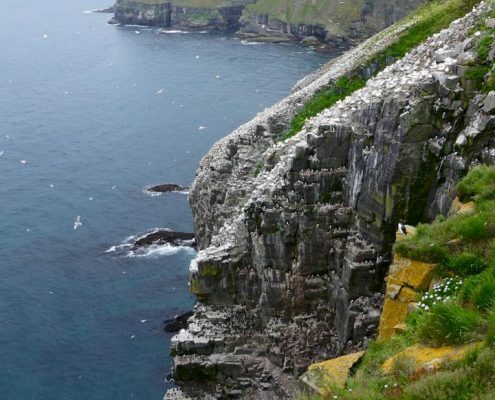 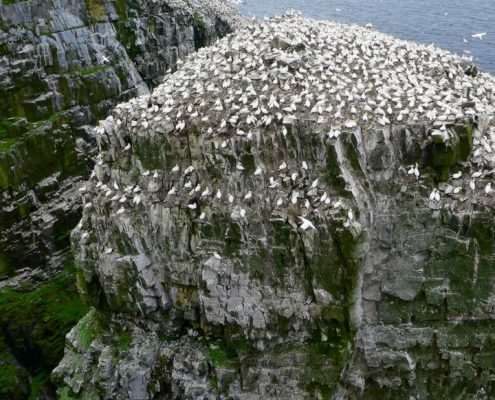 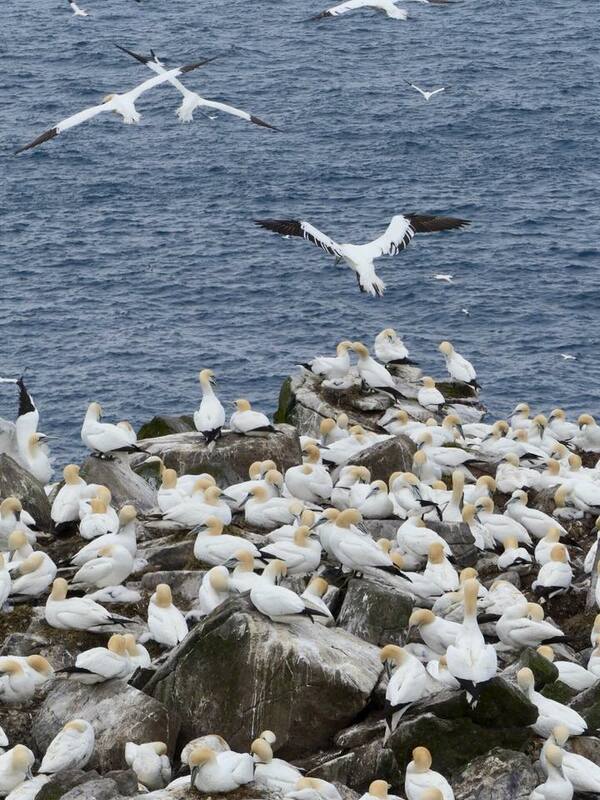 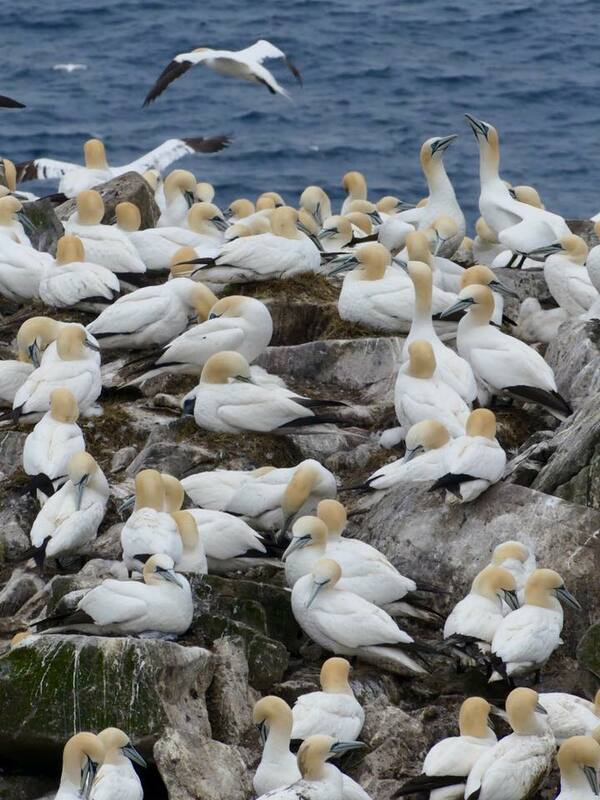 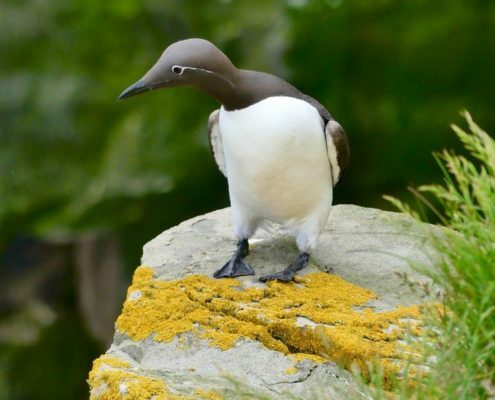 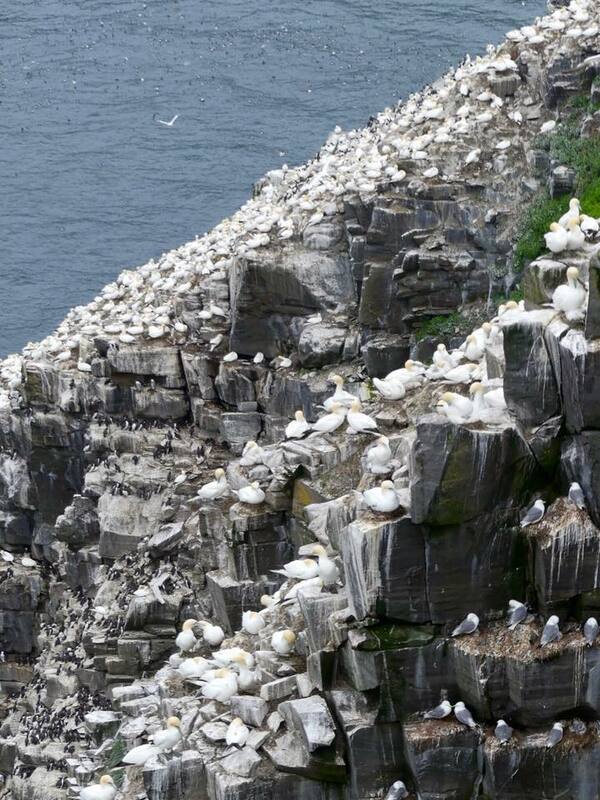 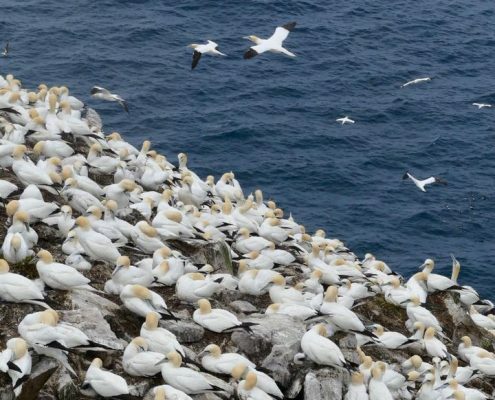 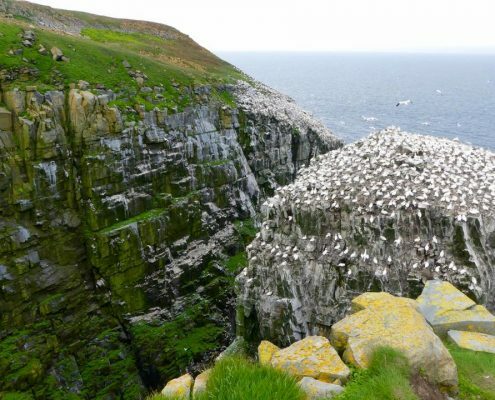 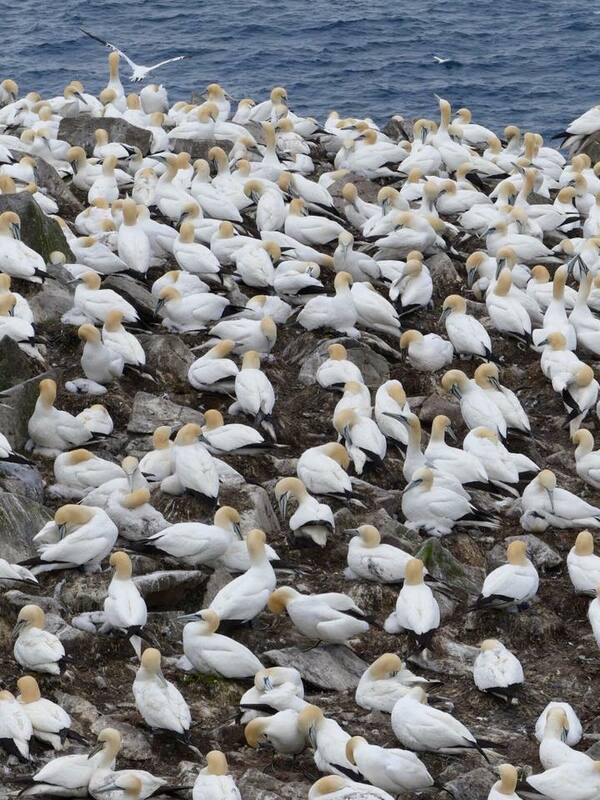 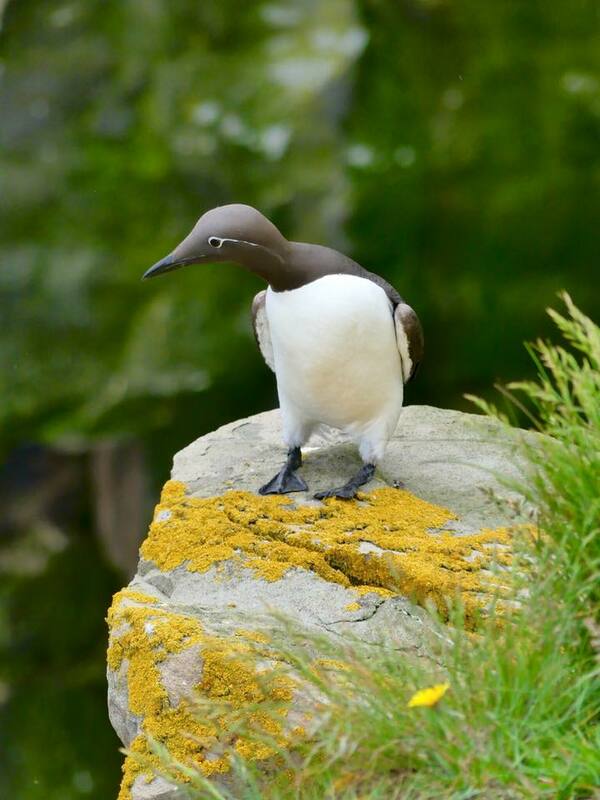 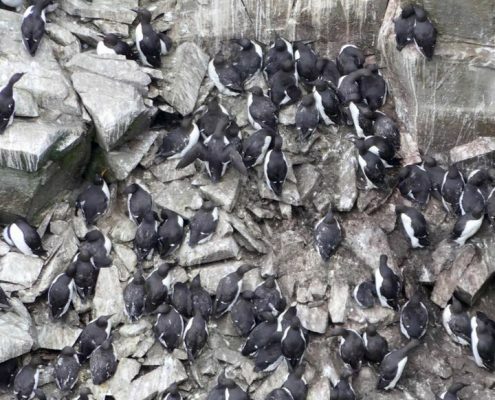 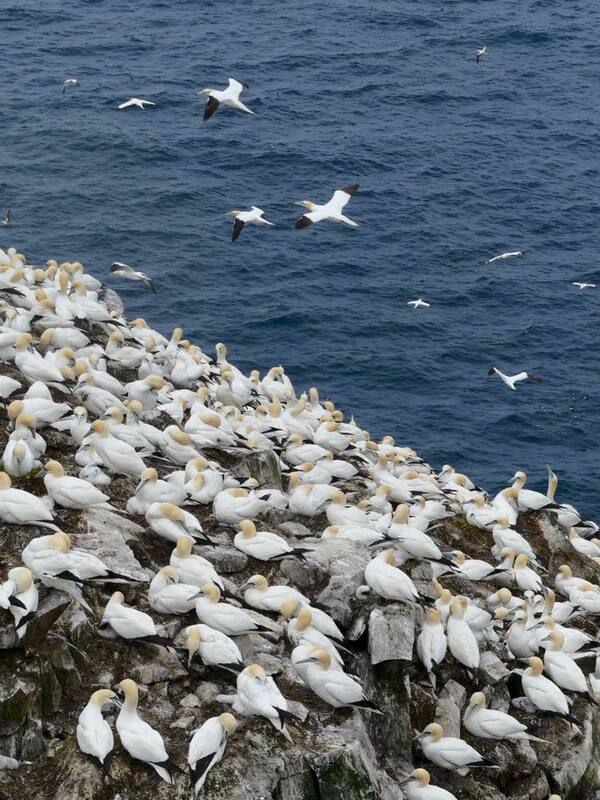 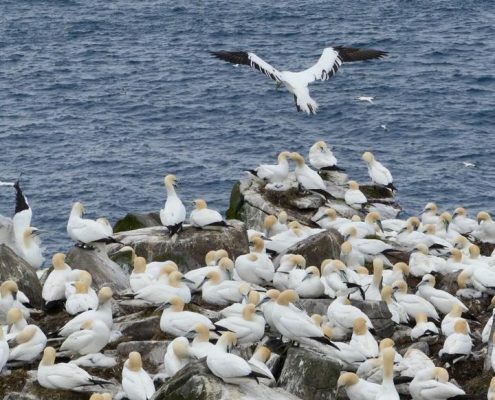 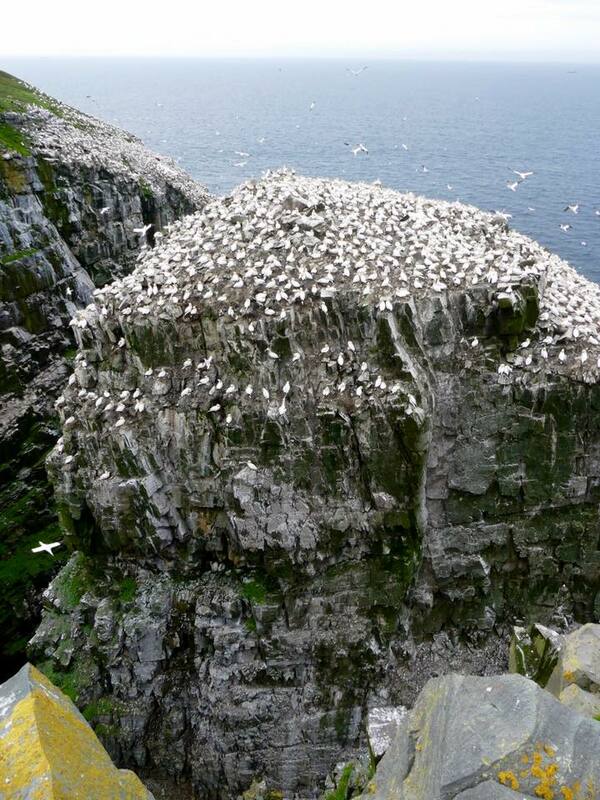 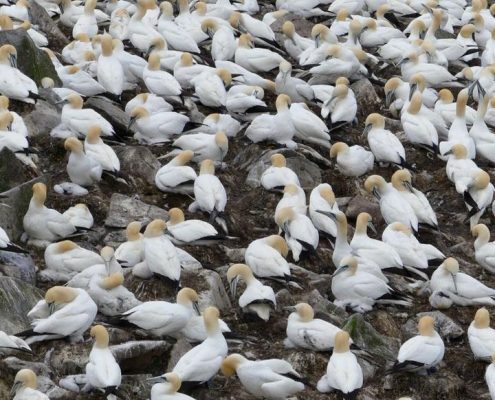 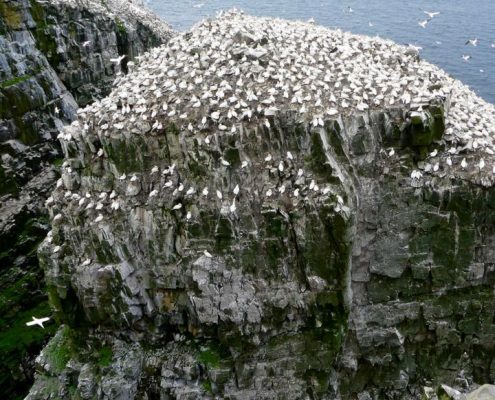 Cape St. Mary’s Ecological Reserve is a largest seabird colony in Newfoundland – thousands and thousands of birds inhabit several seastack rocks just offshore. 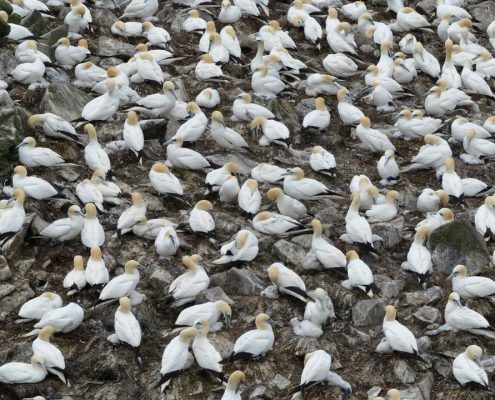 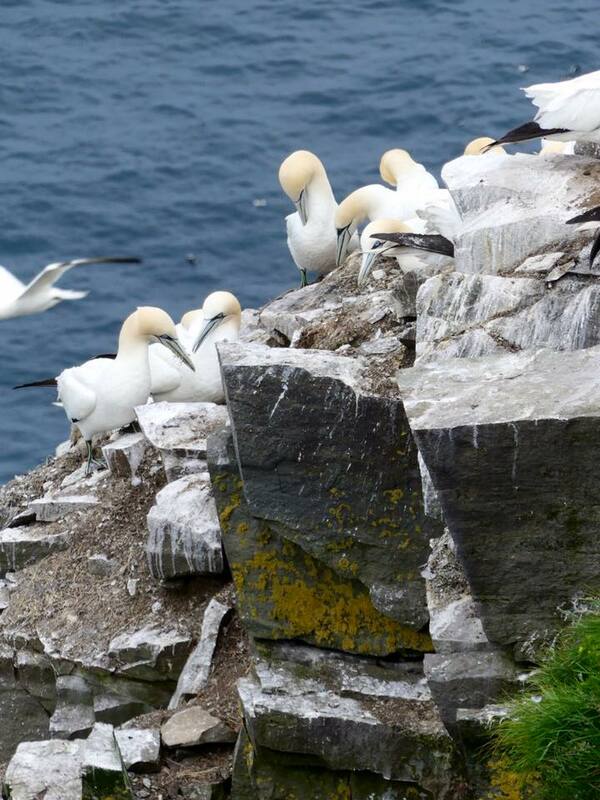 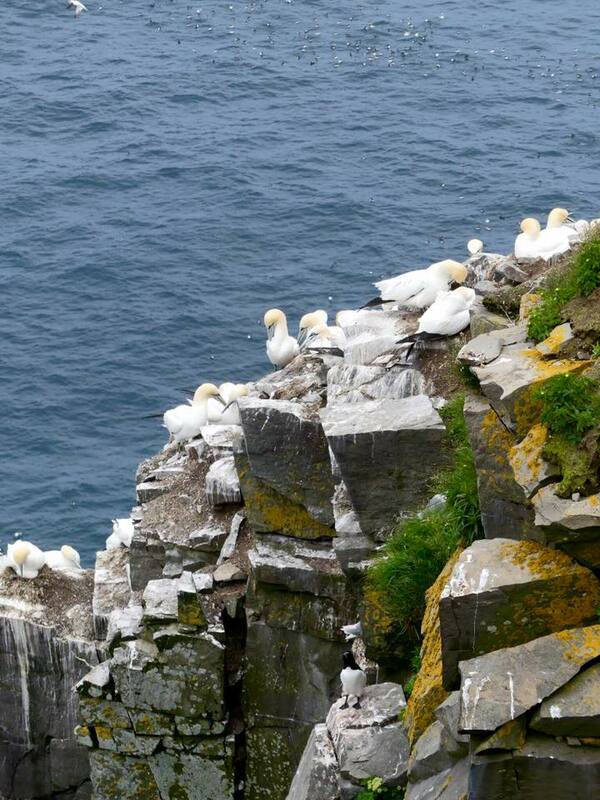 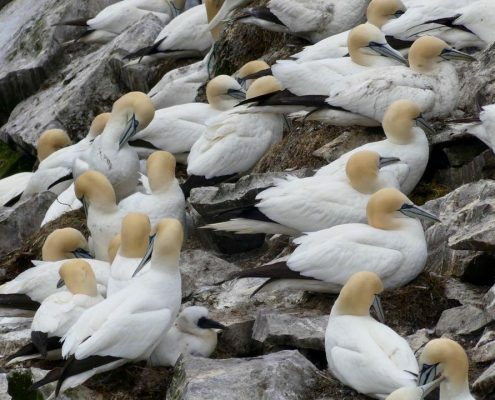 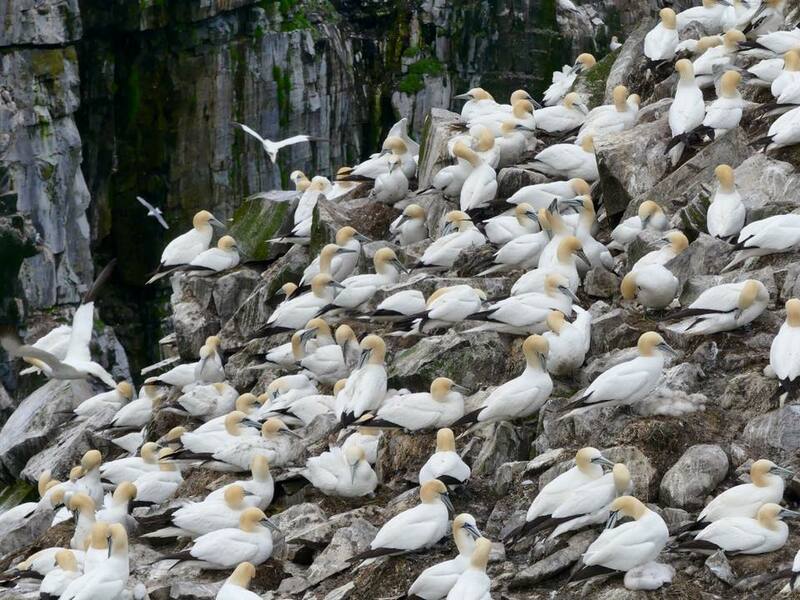 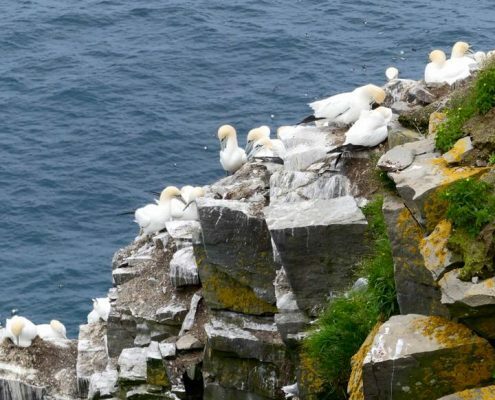 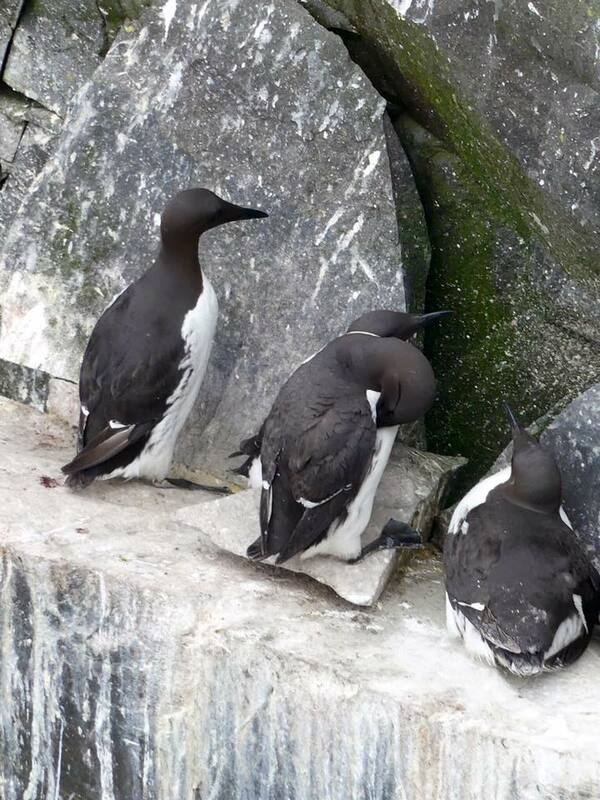 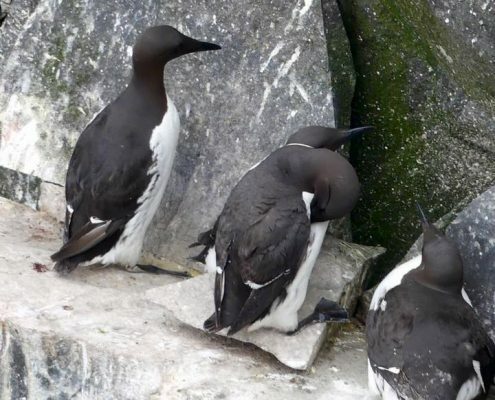 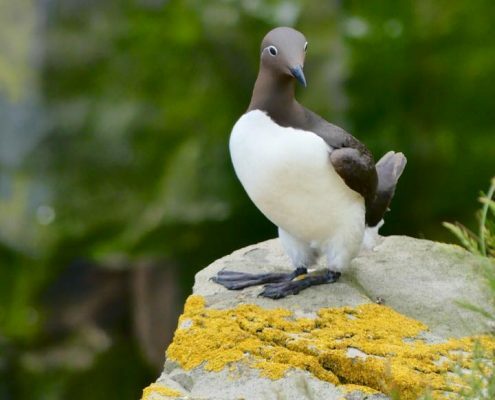 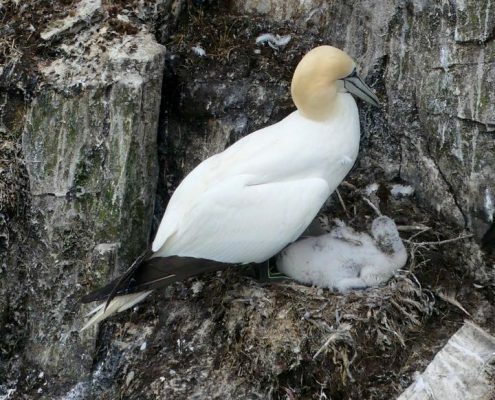 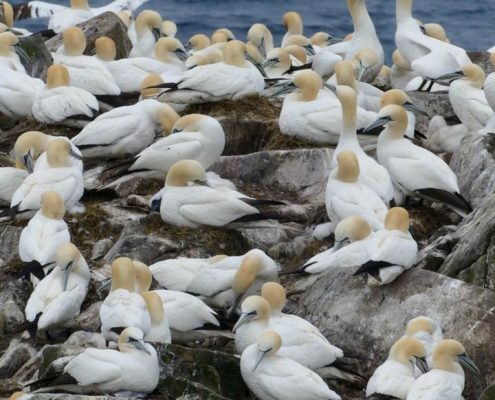 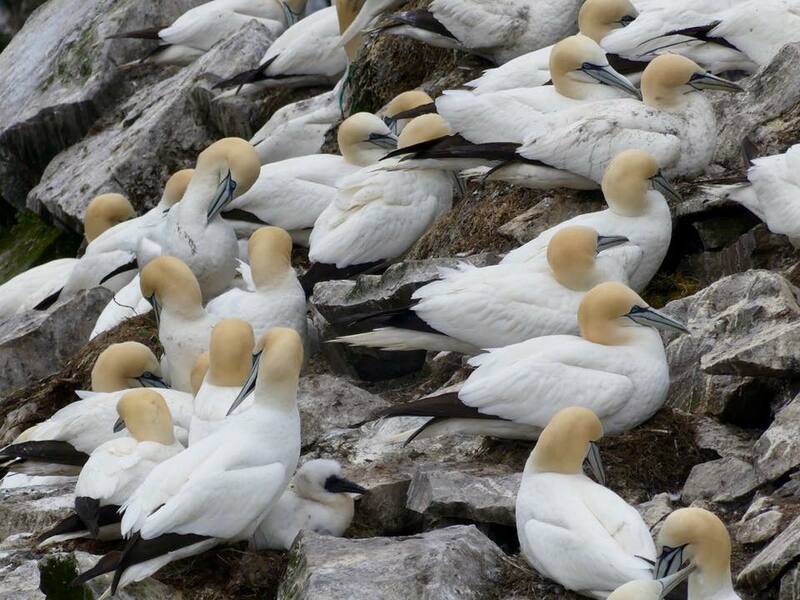 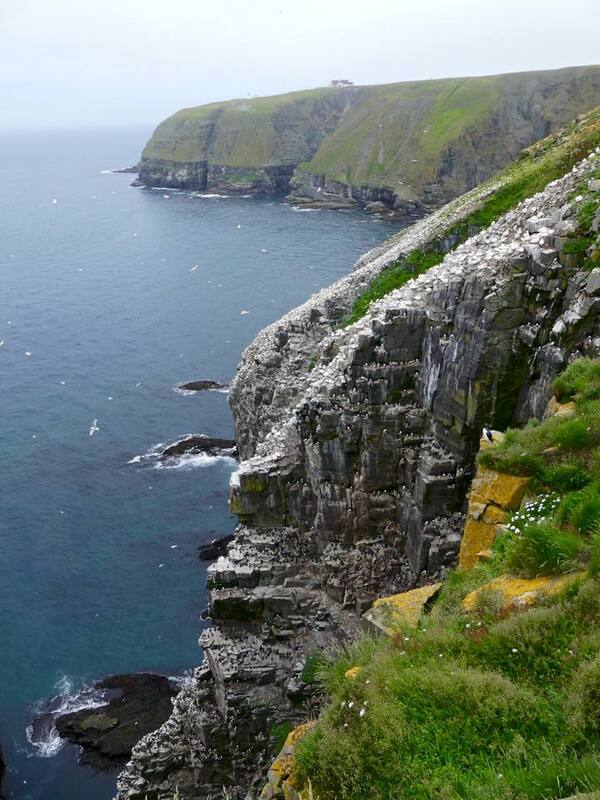 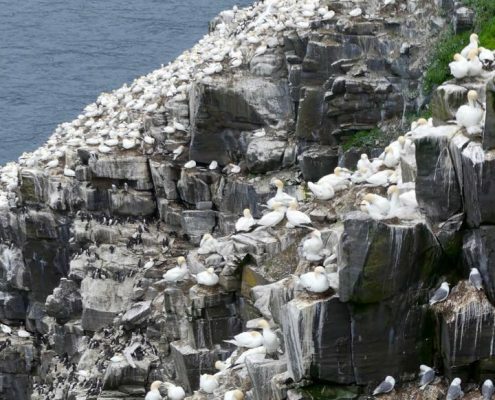 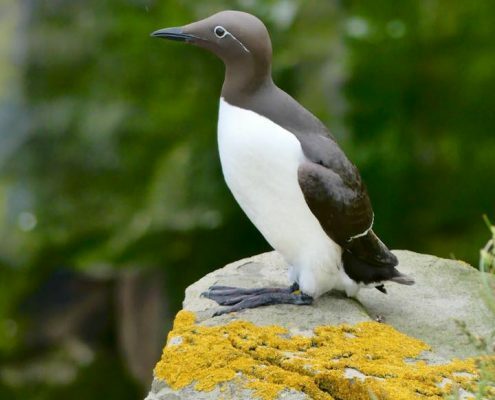 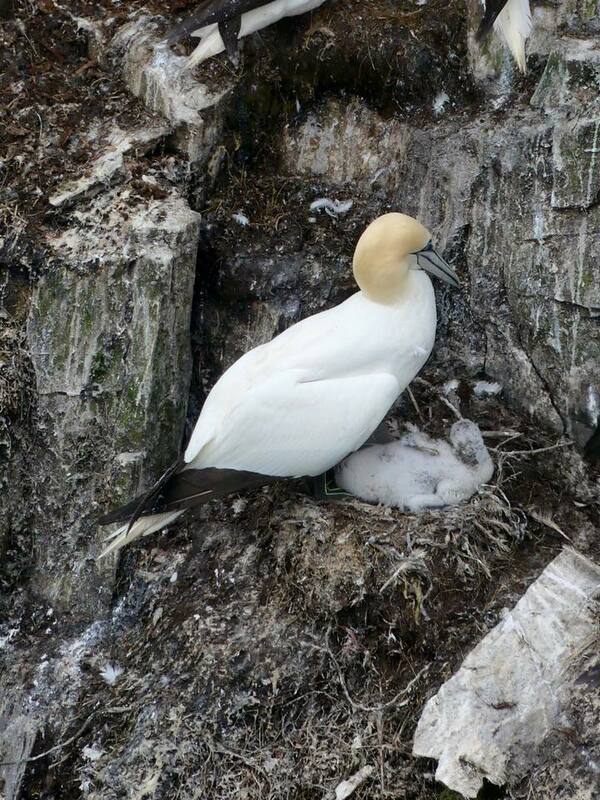 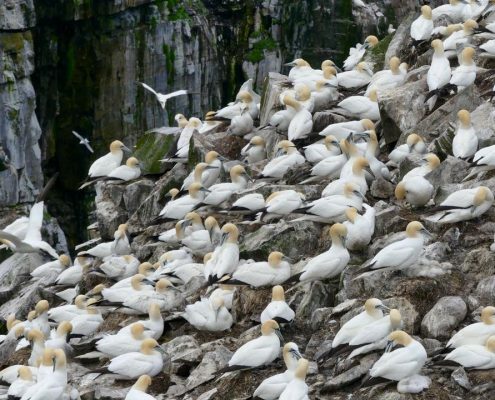 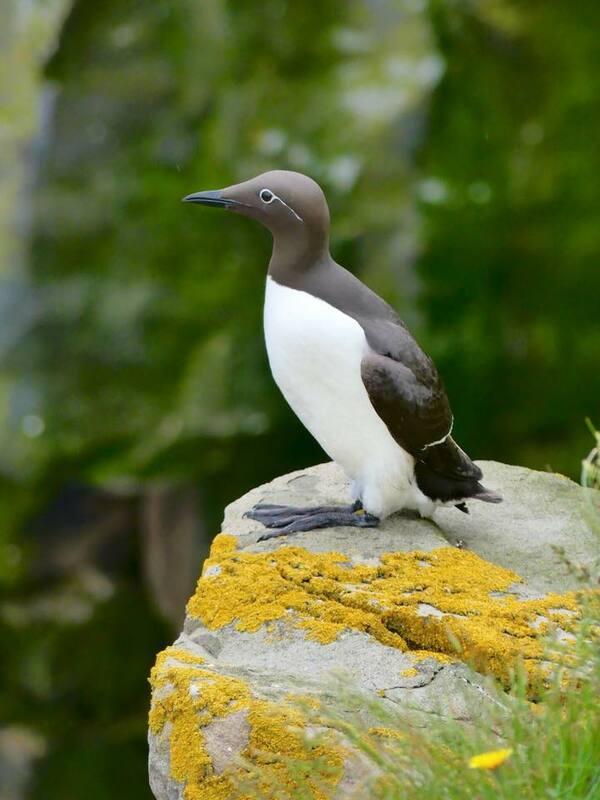 There are 24000 northern gannets, 20000 black-legged kittiwakes, 20000 common murres, and many other species – both nesting on the rocks and crisis in the air. 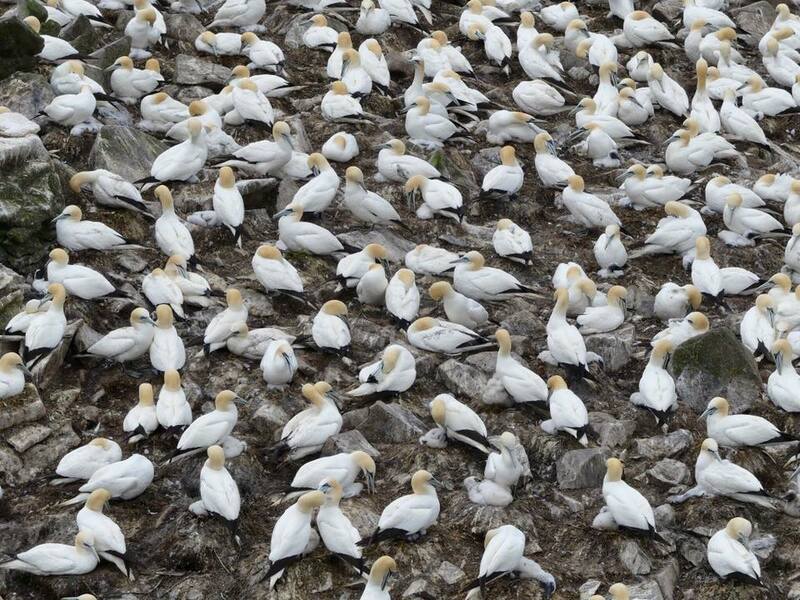 It’s noisy and smelly, but you can sit or stand just feet away from the birds! 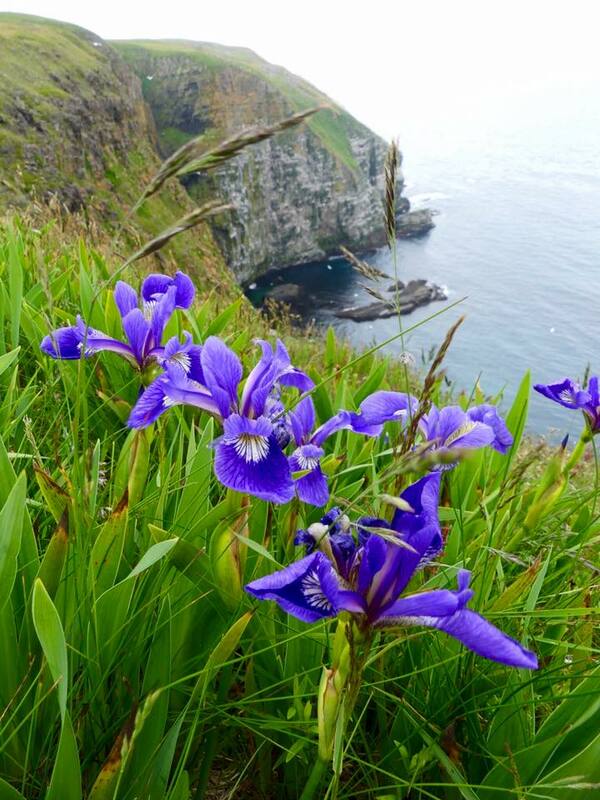 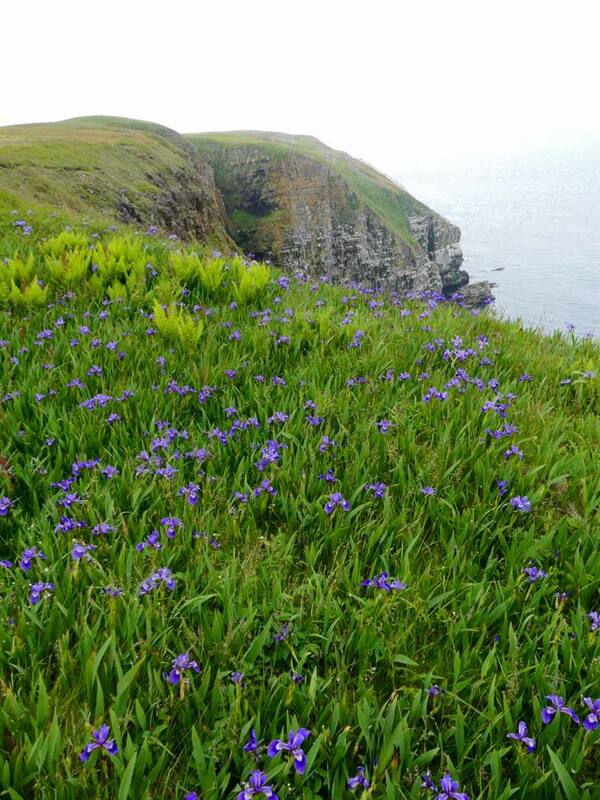 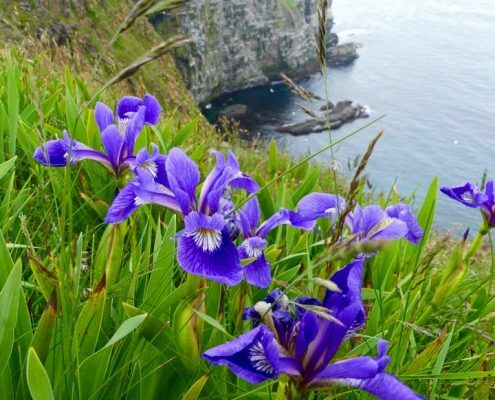 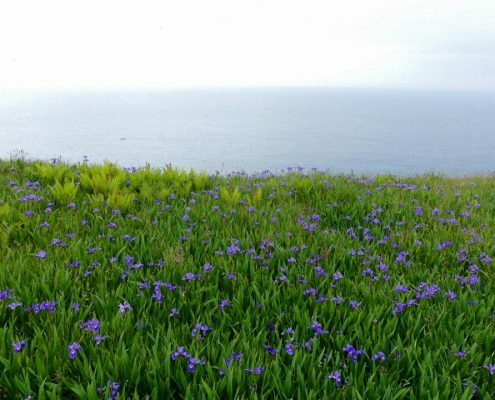 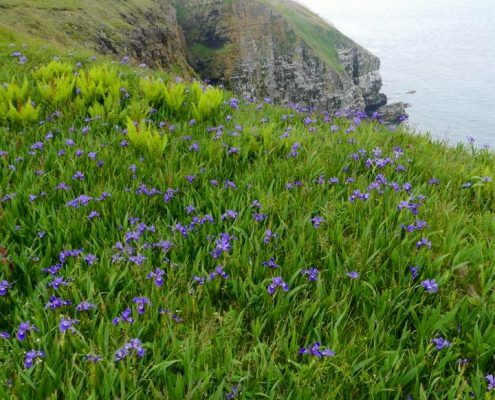 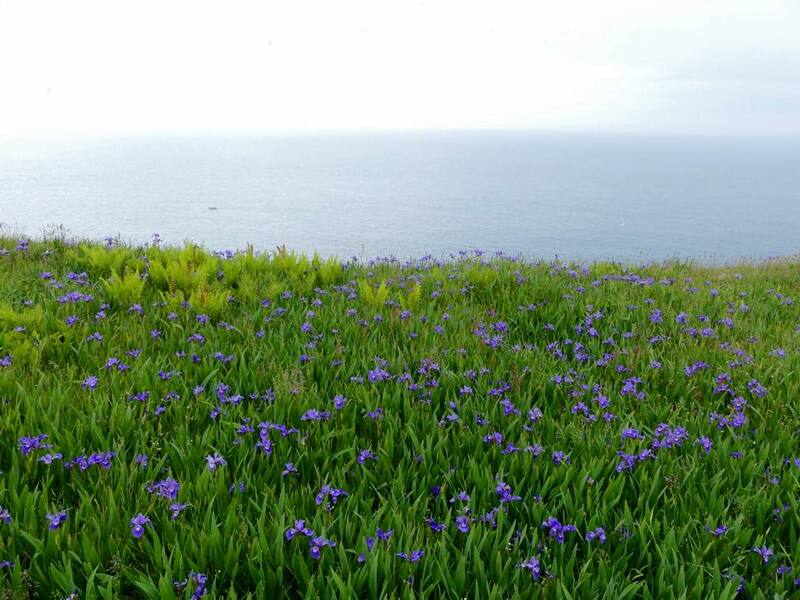 Besides the bird colonies, there are beautiful coastal cliff meadows full of blue irises, and whales cruise just offshore (if you are lucky to spot one).